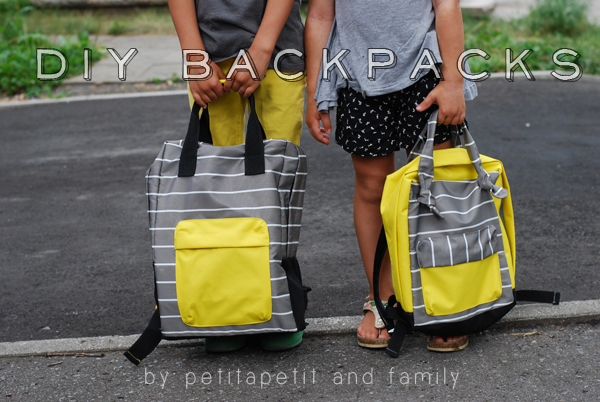 Today we have a blogger who is seriously one of my favorites-- Celina from Petit a Petit and Family. She has an incredible sense of style, especially when it comes to kids clothing. 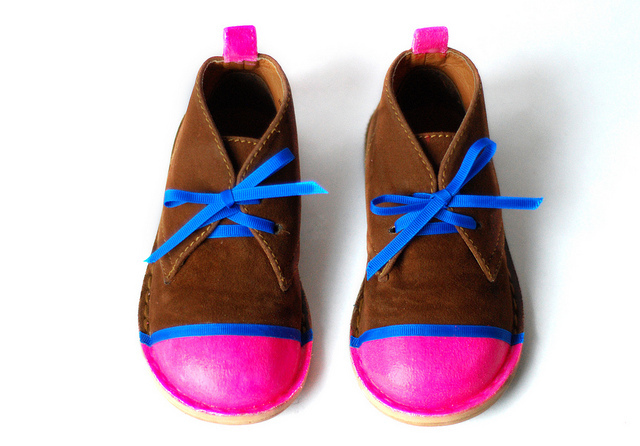 For example... look at these adorable neon shoes. And these backpacks are everywhere it seems... not just because they are so cool... but Celina's tutorial is absolutely incredible, well thought out and easy to follow! 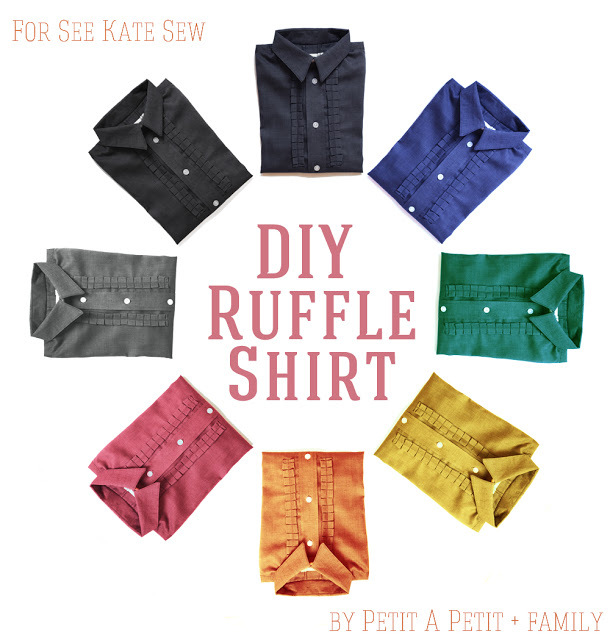 And she sews for boys too... check out this Ruffle Shirt! Celina-- if you are reading this... did you really make 8 different shirts for this picture? On top of being an incredible designer, she is as sweet as apple pie. I'm so glad to get to know her a bit better with this post. I can't wait for you all to get to know her as well! Hello! I am so very excited and a little nervous for being here today. I'm Celina and I blog over at Petit a Petit and family were I share my love for children's design. 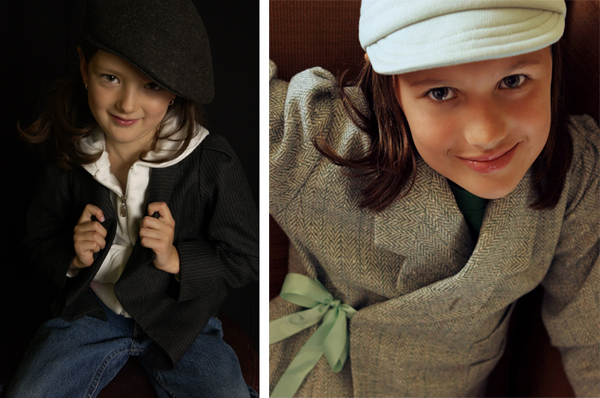 I am a fashion designer and specialize in children's clothing. 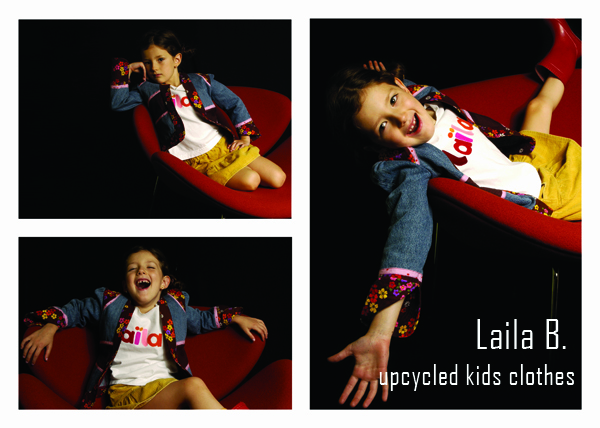 I studied fashion design and worked in the industry for a couple of years before launching my own kids line where I upcycled clothing to make some new ones for little girls between the ages of 4 and 12. When I had my son I also launched a little line of kids clothes for both boys and girls, this time from 3 months up to 14 years of age. With two kids and lots of new responsibilities & many bills to pay I decided to give up on my business and get a job. 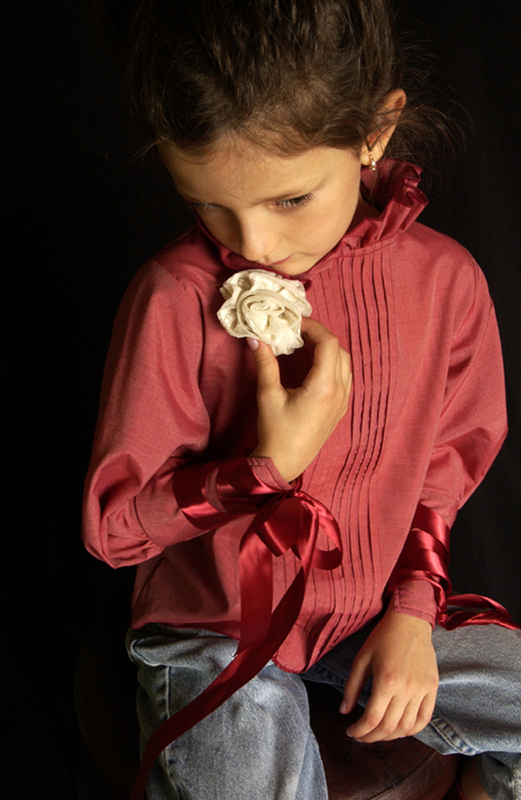 Now, I blog about my passion and sew just for my kids. You might be wondering where I am going with all this? Well let me tell you a bit more about myself! I started sewing when I was about 12, I took a class and got a sewing machine for Christmas that year and I haven't stopped sewing since. I actually sewed on that machine until 2 years ago, I miss it quite a bit. After going to University, I realized Psychology was maybe not what I wanted to do for the rest of my life and enrolled in Fashion Design school. I learnt how to draw, build a collection, draft patterns, cut and sew what ever I wanted or almost! When I started my label, I did it all: design, draft patterns, cut and sew samples, fit, grade patterns, cut and sew small productions, market and sell. And I am here today to confess, I am not proud and this might come to a surprise to you, I really dislike sewing. There I said it. 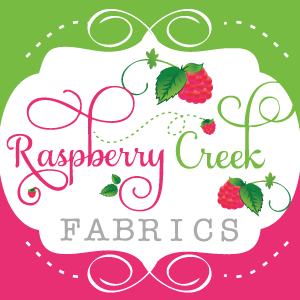 Maybe I don't dislike it as much as selling, but out of the whole design process, sewing drives me crazy! I wish I could skip it, clap my hands and it's done. Honestly, if I could I would hire someone to sew. So why do I sew? Well, because the feeling you get when you finish sewing something and you see all the hard work you put into creating something that is yours is I-N-C-R-E-D-I-B-L-E. There is no fun in just designing an item. I think maybe it's one of the reasons I love upcycling clothes so much! You don't need to sew up so many elements, such as plackets and button holes or even the cuffs- just use the pre-existing ones as shown in the photo above. 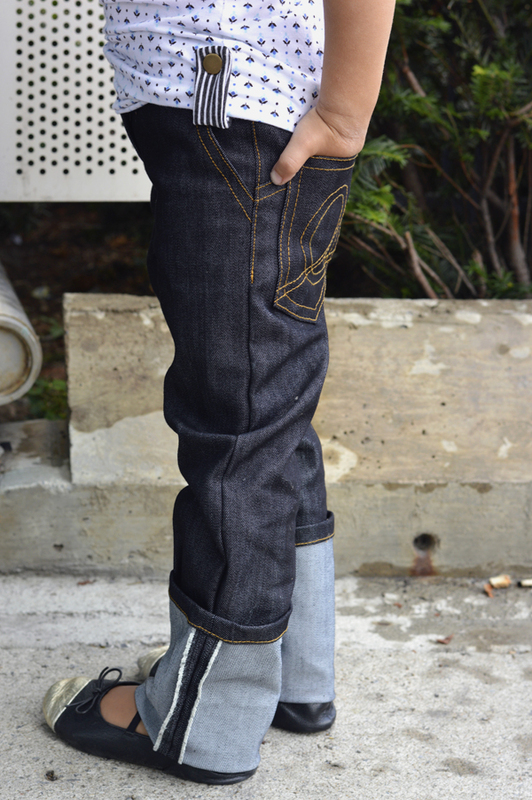 I like to find fun elements in old clothes, such as the pocket in those sweatpants and give them a new life. Saves me the trouble of sewing them too. 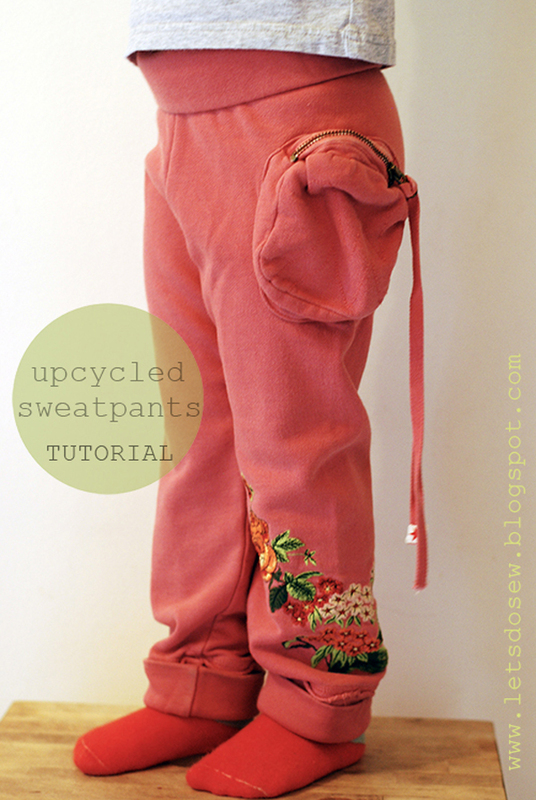 Sewing that pocket would have taken ages- not if you are upcycling an old sweatshirt! I've even upcycled men's blazers and used the existing lapels and sleeves. I always seem to like basic designs as well. Rectangles make for great patterns, don't you think? 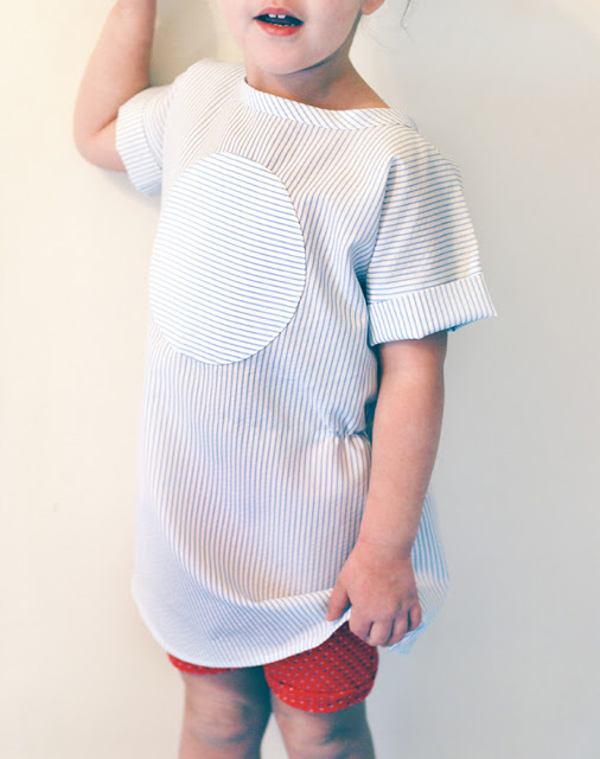 The striped tunic is just that, a rectangle with some elastic at the waistline. I love it when you need very few seams to make up a garment or even better if it can be entirely sewn on your overlock machine! Am I lazy? No, just impatient I think. Do you ever have those days were everything you try to put together just messed up? The sleeve on the wrong arm. The wrong side of the fabric stitched together. Trying to fit the wrong pieces together and wondering why they don't match. Or just when you finish sewing and you cut that last little piece of dangling thread you cut right into the pleated shirt that took you for ever to make? Yes, well the lace flower in that photo is strategically placed, can you guess why? Oh but don't get me wrong, I will never stop sewing and I am too much of a perfectionist to give up on top-stitching and under-stitching or leaving out details in my designs because I dislike sewing. As much as I like to make things simple, they always end up pretty complicated. I guess I actually do love sewing, because without it I'd have nothing to show for but a silly little drawing and lets just say drawing isn't my strong point! Thank you so much for having me here today Palak. It feels good to confess and talk these things out. Now don't you ever ask me to shorten and hem some pants- let's just say I rather sew up a new pair and you know how I feel about sewing now! Thank you so much for sharing Celina! I think so many of us have parts of the sewing process we just can't stand. For me, it's cutting fabric, I wish I could get someone else to do that for me! Head on over to Petit a Petit and give Celina some comment love-- seriously, her work is amazing... it will be easy to get lost in her site! After that, don't forget to head on over to Sewistry and take a peek at my contribution to Peekaboo's Fall Pattern Tour!